Are payments processed via your website secure? Yes, McArthur Skincare's website shopping cart uses a secure payment gateway with high levels of browser encryption (SSL - Secure Socket Layer), through well known international online payment gateways EWAY and/or PAYPAL to process your credit card details in a secure real-time payment transaction. When buying from our site, you can safely pay for products online. Our merchant facilities use Verified by Visa and Mastercard secure systems. We do not retain your credit card details on file. Please note when using a PayPal account, you can use this in ‘guest mode’ without having to have an actual Paypal account. I don’t have a Visa, MasterCard or Paypal, can payments be made by cheque, direct debit, or other credit cards? Our online system is currently able to accept payments by MasterCard, Visa and Paypal only. However, we do have a postal order form available here, simply fill it out and send it to the address on the form with a cheque or money order and we'll be sure to get your order to you as fast as we can. Unfortunately, we do not provide BPay or Direct Debit facilities at this time. Please note that Paypal accounts can be established without need of Credit Cards, and can be connected to your bank account for making convenient online purchases. Please call us on 1800 309 105. For international callers: +618 9481 4429 for further information. For returning customers: If you have forgotten your password, then when you enter the checkout mode in the online store, you can click the 'Forgot your password' link. This is found under your login section. This will send a recovery email to your registered email address to create a new password. Please be sure to check your junk email folder for receipt if you initialise sending a recovery email. If you do not have access to that email address anymore you would need to create a new account or contact our administration team to update your details for you on 1800 309 105 (for international callers: +61 8 9481 4429). We cannot access your current password as it is an encrypted file, personal to you. We can however reset a new password for you. How do I apply McArthur Skincare products? In our experience product application is very important in getting the best results from our products. Please ensure when applying our products that you follow the instructions outlined on the 'Products' page on this site, or as shown on the product pack itself. If you are in any doubt please call us on 1800 309 105 (for international callers: +61(0) 8 9481 4429) for further information. Please note: we do not make any claims of a cure or diagnose the cause of skin ailments or medical conditions. Will my skin get worse before it gets better? One use of McArthur Skincare is to purify, soothe and rejuvenate the appearance of the skin. However, in some cases it is not uncommon for the skin to get worse before it gets better. This can occur for 2-3 days and our feedback suggests that if you continue to apply our products improvement may occur after that time. You should discontinue use if irritation persists. Please remember to patch test prior to full application. What should I do if I develop a skin reaction? As we use active natural ingredients, initially the troubled area may become aggravated, which is often an indication that the products are working. A mild tingling or a skin change may occur on application. One of the benefits of our products is that they purify, soothe and rejuvenate the appearance of the skin. In some cases your skin may initially become red as toxins may be drawn to the surface and expelled by the body. A skin irritation may also occur if you have applied an excessive amount of the cream rather than a thin film. Our experience is that any irritation should clear within 2-3 days. Discontinue use if irritation persists. Please remember to always patch test prior to full application. Are you selling your products in any retail stores? Please click on the link to our Stockists Search page for address and contact details for your closest local pharmacy or health food retail stores selling our products. We also have a convenient Google Map search so you can locate your closest stockist. You can also purchase directly online from this website, with tracked delivery and payments made on our site are secure and convenient through international payment gateways including Paypal. How long does it take for your products to be delivered? Delivery to Australia and New Zealand - usually take 3-12 working days depending on the location of the delivery address. Delivery to other countries – usually takes 8-15 working days depending on the location of the delivery address. We use the professional delivery services of Australia Post, and orders can be tracked via the Australia Post website with the provided tracking number so you can monitor delivery progress. Australia: FREE shipping is provided for orders over $80. For orders under $80, shipping costs anywhere within Australia are $9.95. All Australian deliveries are made using Australia Post’s eParcel delivery service and we use their affiliates in other countries. Under this system customers will need to sign for receipt of their order. If you are not at home at the time of delivery a card will be left by Australia Post directing you to the nearest Post Office for pick up. International Orders: For international orders shipping costs are calculated by weight in the shopping cart at ‘Step 4: Shipping Method’, with delivery by airmail, up to a maximum package weight of 2kg. We use Australia Post’s eParcel system. You can track the delivery status of your order on the Australia Post website: https://auspost.com.au/parcels-mail/track.html. On this site, enter in the Order Shipment Tracking Number which is supplied in your email correspondence once your order has been dispatched. For any assistance with this process please call us on 1800 309 105 (for international callers: +61 8 9481 4429). Where can I read testimonials from customers that have used your products? Click if you would like to read a few of the thousands of testimonials we have received from our customers. When you go to the page relating to each product on our site, you will find testimonials relating to that specific product as you scroll down the page. If you do decide to go ahead and order, do so with the full confidence that we will provide a full refund of the product price if you find you are not satisfied with the products quality. 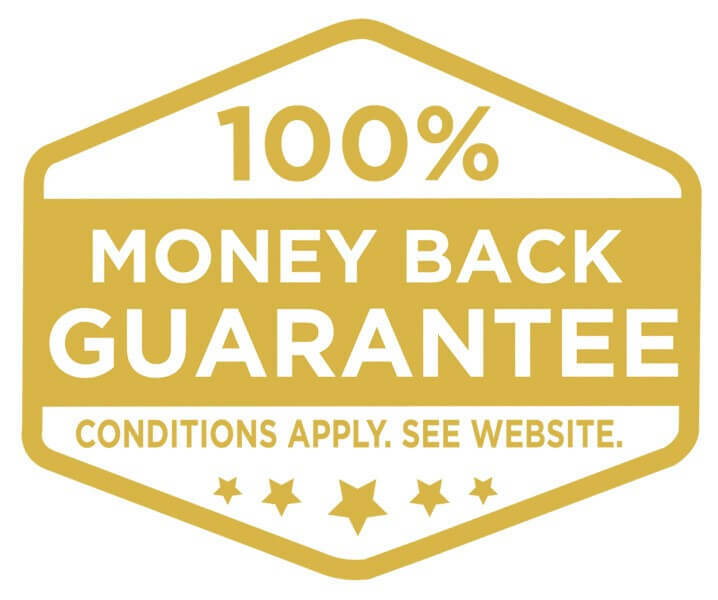 Please refer to our Money Back Guarantee as outlined in our Returns Policy. Our Psoriasis, Dermatitis & Rashes Cream contains the active natural ingredients Aloe Vera, and Chickweed which is traditionally used in herbal medicine for the relief of itchy, irritated and dry skin associated with mild psoriasis, dermatitis and rashes. Our Eczema Cream contains the active natural ingredients Chamomile, and Chickweed which is traditionally used in herbal medicine for the relief of itchy, irritated and inflamed skin associated with mild eczema. Our Arthritis Cream contains the active natural ingredients Aloe Vera, and Arnica which is traditionally used in herbal medicine for the relief of mild arthritis. Our Wounds & Burns Cream contains the active natural ingredient Aloe Vera traditionally used in herbal medicine in the healing of minor wounds, burns and sunburn. Our Muscle Aches & Pain Cream contains the active natural ingredients Aloe Vera, and Arnica which is traditionally used in herbal medicine for the relief of mild pain in muscles and joints. Always the read label. Use only as directed. If symptoms persist, see your healthcare practitioner. For general skincare needs, in most cases the Complete Skincare Cream is the most popular product, but in other cases the Hydrating Facial Cream is the most appropriate for the skin. The Foaming Facial Cleanser is formulated for everyday use to cleanse, moisturise and invigorate the skin. This cleanser is often used in conjunction with the Hydrating Facial Cream. Our Complete Skincare Soap and Complete Skincare Body Wash are everyday cleansers for the whole body used to invigorate and exfoliate the skin and are often used in conjunction with our creams. We recommend the Scalp Care Shampoo and Scalp Care Conditioner for sensitive scalps, while the Replenishing Shampoo and Replenishing Conditioner are recommended for everyday use. McArthur Skincare also has a variety of Product Packs that give you good value when you’re buying a combination of products that suit your needs. You may also use a combination of our products. If you are unsure which product to purchase, or what combination you need, please contact us on 1800 309 105 (for international callers: +61 8 9481 4429) - we’re happy to provide guidance. Are all the active ingredients in the Eczema Cream, Wounds & Burns Cream, Muscle Aches & Pain Cream, Arthritis Cream and Psoriasis, Dermatitis & Rashes Cream natural? All of the active ingredients in McArthur Skincare therapeutic creams are 100% natural. None of our products contain any parabens, petrochemicals or sodium lauryl sulphate. Do your creams contain animal products? At McArthur Skincare we aim to exclude animal products - however, we do use beeswax in some of our products as it is a safe, non-toxic ingredient. All of our products are free of added parabens, propylene glycol or sodium lauryl sulphate. What are the ingredients used in McArthur Skincare products? If you have any queries on the ingredients used within McArthur Skincare products, please feel free to phone 1800 309 105 (for international callers: +61 8 9481 4429) or email info@mcarthurskincare.com. I have very sensitive skin (or allergies), will I be able to use McArthur Skincare? McArthur Skincare products are suitable for all skin types. As we use active natural ingredients it is best to check for any allergic reaction. Some of our products come in a No Added Fragrance version to suit the most sensitive skins. We recommend that before applying the creams you conduct a patch test by applying a small amount of cream to the inside of your forearm to determine if any allergic reaction will occur. Do any of your products contain any petrochemicals, steroids, parabens, propylene glycol or sodium lauryl sulphate? Our products do not contain any contain any petrochemicals, steroids, parabens, propylene glycol or sodium lauryl sulphate. If you have any queries on the ingredients used within the McArthur Skincare product range, please feel free to phone 1800 309 105 (for international callers: +61 8 9481 4429) or email info@mcarthurskincare.com. Are there special requirements for storage? All of our products use natural ingredients so please store McArthur Skincare with care. Always keep them at a temperature below 30° Celsius to retain their effectiveness. If our products have been damaged in transit, this must be reported to us within 14 days of receipt via orders@mcarthurskincare.com. We have received some very positive feedback from customers - see Customer Feedback. We encourage you to contact us at McArthur Skincare on 1800 309 105 (for international callers: +61 8 9481 4429) or email info@mcarthurskincare.com if you feel strongly that the product has made an improvement in your life or with any other feedback you have. If you have any general enquiries not covered in the above, then please contact us on 1800 309 105 (for international callers: +61 8 9481 4429) or email info@mcarthurskincare.com.